This is a really great picture . 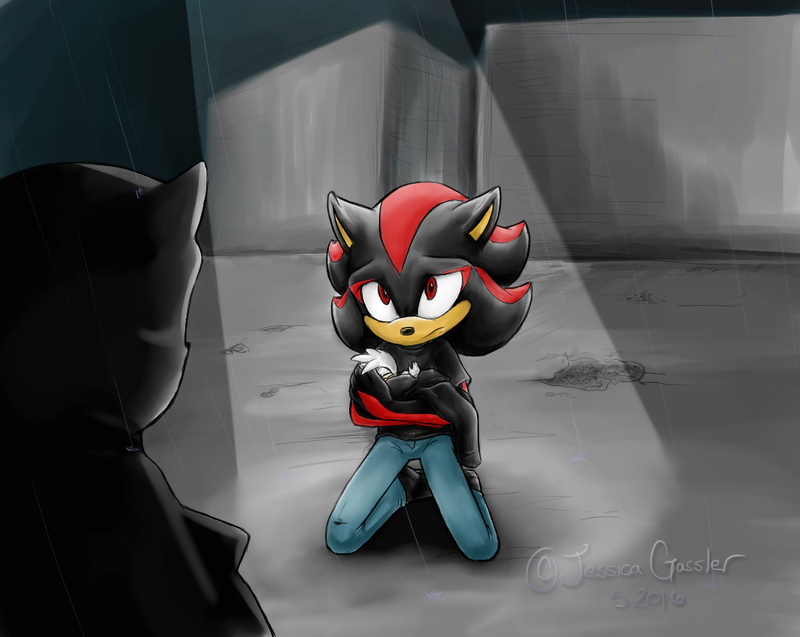 Did you draw this based on the story where Shadow looks after his son Silver during the apocalyptic zombie crisis ? Yea it was on fanficson.net . And I fell in love with the story . Oh, this is exactly as I had imagined it! >u< Thank you, thank you, thank you, thank you, thank you! Awwwwww, OMG!! This is such a beautiful portrayal of that scene! >////< You have captured that scene perfectly! Gosh, I am a huge fan of this story and seeing this come to life surely made my heart flutter >////< You did an amazing job!! I applaud your attention to detail, anatomy, coloring as well as the pose! >u< So wonderful! I just don't know that story!